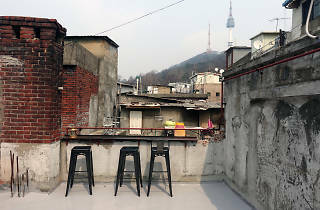 Seated on the hill leading to Namsan, the unlikely location of Haebangchon traditional market which covers parts of Yongsan-dong 2ga and the mountainous neighborhood of Huam-dong is considered one of the hip spots of the city right now. 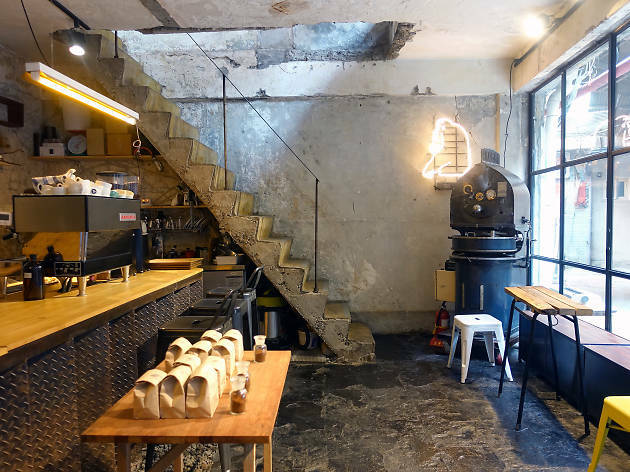 While it is known to the savviest of Seoul as a quieter alternative of the now-touristy Gyeongnidan-gil, Haebangchon, in fact, is ingrained with stories of diaspora written by those who moved from the North in the wake of the country’s independence. 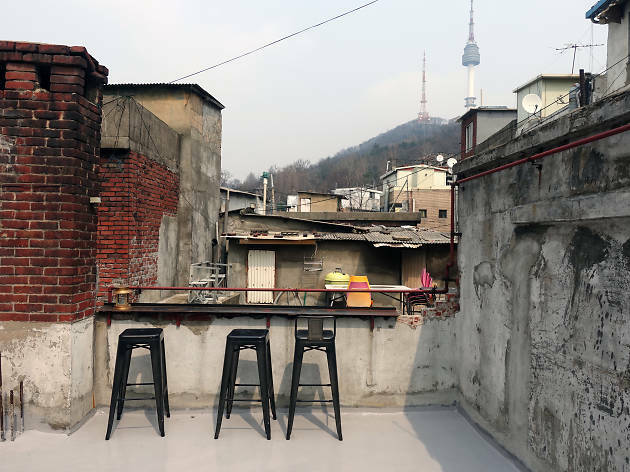 The very top of the neighborhood where buses run on barely paved roads while a cluster of small mom-and-pop shops, dry cleaners, small hair salons and barber shops still exude a nostalgic vibe is the birthplace of Seoul’s latest artists’ village. 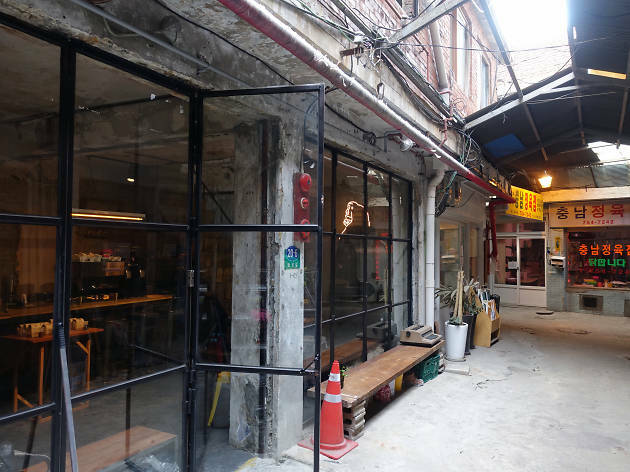 Sinheung Market, especially, has been hogging the spotlight, with the Seoul Metropolitan Government’s plan to bring in new venues of art and young entrepreneurs to occupy the formerly empty storefronts. 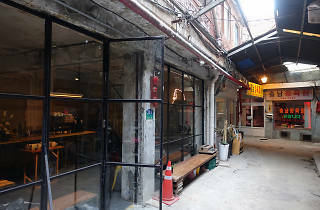 While the Korean TV star Noh Hong-chul’s book store opened up here in mid-2016 has certainly garnered the mainstream attention, many of those who’ve been residing in or frequenting the area know that the contributory remark should go to Orang Orang which opened its door in early 2016. 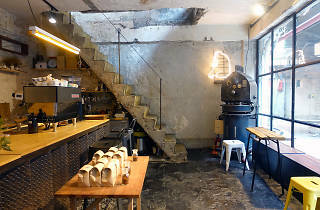 For a coffee enthusiast especially, the first thing he/she’d notice upon stepping inside the café is the vintage Probat roaster (there once was a time in Seoul during which vintage roasters were a trend, led by specialty shops such as Second Coffee and Siphon). For espresso, the café’s chosen La Marzocco Linea (which is also used at Hannam-dong’s Bonanza Coffee) and the basic form of Kalita—which is the most appropriate when extracting coffee reminiscent of old-day kissaten, Japanese-style tearooms—for manual drip-brewing extraction (while ‘pour over’ is now a popular term in North America and Europe, ‘brewing’ is widely used in Korea to mean any kind of non-automatic extraction). moving onto the menu, Orang Orang’s cappuccino is a dry form with extra foam (frothed milk) brimming over the mug. A dash of chocolate powder that goes on top prevents the formation of any off-flavor (which is often possible due to the protein in the milk). 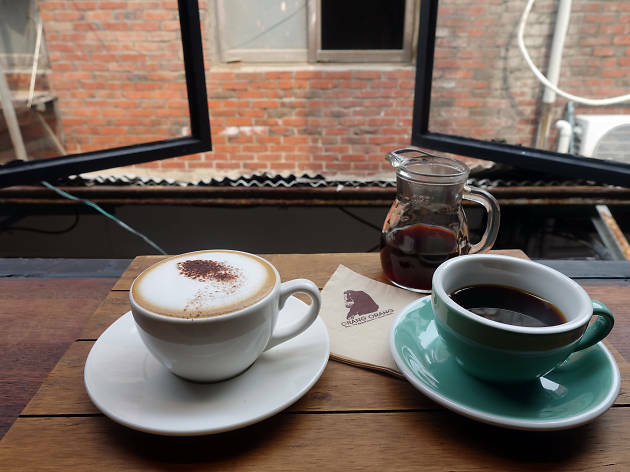 Showing the typical characteristic of milk-induced coffee, espresso and steamed milk creates a tight balance, as well. I’ve also tried the Colombian brew, which, as all other manual drips, comes in a glass jar with preheated mugs. The first thing I noticed that the temperature was not too high, allowing the fragrances of the coffee stand out. 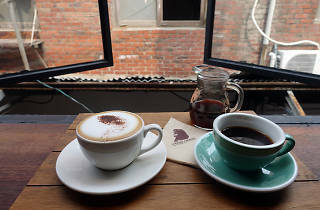 It was obvious that acidity was minimized in the process while the pleasantly-bitter umami flavor favored by the Japanese kissaten master baristas was highlighted. 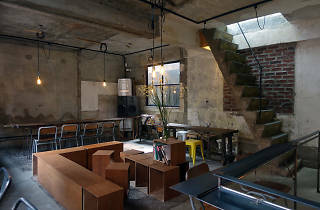 Aside from the coffees, the most notable element offered at Orang Orang is the space: the second floor complete with vintage chairs and tables is quite cozy, and the rooftop on the third floor providing a panoramic view of Namsan would be perfect for a party in the spring and summer months. 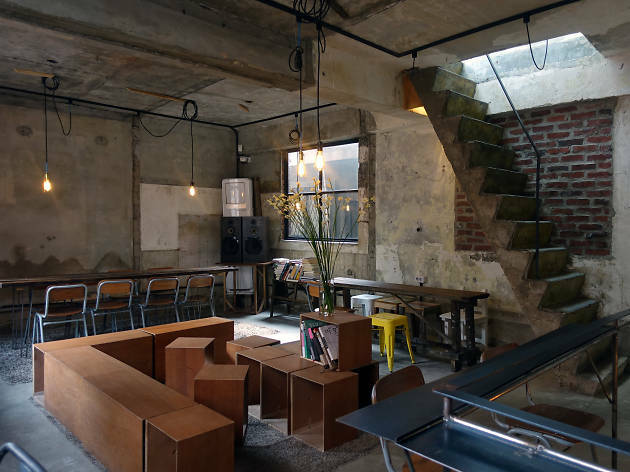 Overall, it’s got an organic vibe while reflecting the unique ambiance of Haebangchon and Namsal hill (walking up and down the sets of steep steps leading to the rooftop is quite an adventure, though). Sipping the coffees created by the skilled baristas (including Ahn Seong-hyeon who had worked at Anthracite for a long time during his career), I thought of how the area came to be transformed, from ‘desolate’ to so apparently ‘vibrant.’ While there are more new venues filling in the still-quaint scenery, Orang Orang is undoubtedly a gem of the town—and it would be such a shame to lose this café amidst the flow of gentrification. * Author JB is a freelance coffee and travel writer as well as a Q-grader credentialed by the Specialty Coffee Association of America (SCAA).